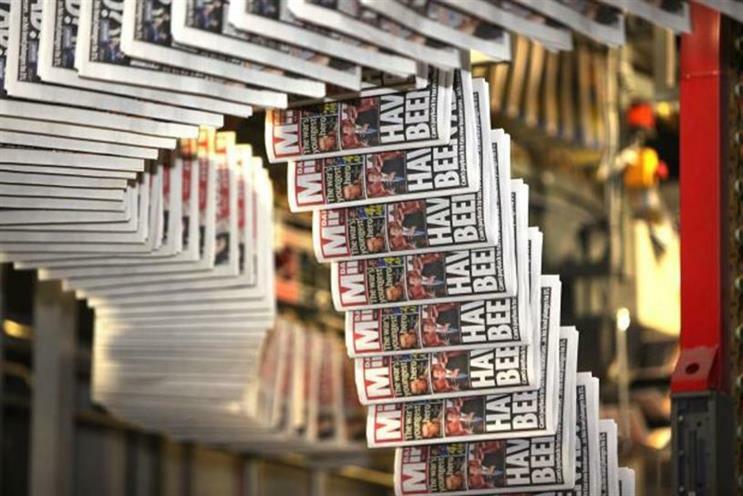 Revenue at Trinity Mirror fell again in the third quarter of the year, the newspaper publisher has reported, albeit less than in the previous quarter. The publisher of the Daily Mirror and the Sunday Mirror announced this morning that print advertising revenue fell by 16 per cent in the 13 weeks to 27 September, compared to a 23 per cent fall in the second quarter. Overall revenue fell by 9 per cent in the third quarter, compared to 13 per cent in the second quarter, which covers 13 weeks to 28 June. Underlying revenue fell by 7 per cent in Q3, compared to a 10 per cent decline in Q2. In a statement, the company said: "We continue to make good progress against our strategic initiatives and the business continues to deliver strong cash flows and remains on track to deliver structural cost savings of £20 million for the year." It also confirmed that a date has now been set by the Court of Appeal, after the publisher was granted permission to appeal in August against the High Court’s order to pay victims of phone hacking. The appeal, which has been expedited, will be heard over two days on the week commencing 19 October. Eight claimants, including celebrities Sadie Frost and Paul Gascoigne, were awarded payouts totalling £1.2 million in May. Following that ruling, the newspaper group had more than doubled the amount of money it had set aside to deal with around 75 known claims from £12 million to £28 million. This was reflected in Trinity Mirror's interim financial results this year, which saw pre-tax profits drop by 76 per cent to £12.1 million.